The Hotel group rate is no longer available. 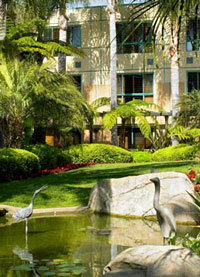 To reserve a room, please contact Sheraton directly at (858) 453-5500. In the event a guest who has requested a room and checks out prior to the guest's reserved checkout date, the Sheraton La Jolla Hotel will add an early checkout fee of $75.00 to that guest's individual account. Guests wishing to avoid an early checkout fee should advise the Sheraton La Jolla Hotel at, or before check-in of any change in planned length of stay.